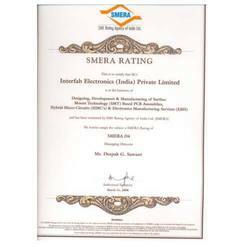 Established in the year 1992, we, “Interfab Electronics India Private Limited”, are an ISO 9001:2008 certified organization engaged in manufacturing and supplying a high quality range of Circuit Boards, PCB Assemblies and Allied Products. In addition to this, we offer Testing, Manufacturing and Turnkey Services to the clients, as per their requirements. We make sure that the projects undertaken by us are timely execute and completed, with excellence. Latest technology and machinery are also employed by us to render these services. We successfully handle the needs of embedded designs and PCB CAD Center for upgradation of designs, layouts and fast prototype assembly. 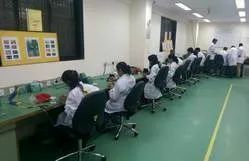 Moreover, we have excelled in meeting the requirements of electronic manufacturing, in-circuit & functional testing, conformal coating & encapsulation and reliability testing. We have been backed by an experienced team of professionals, which is the strengths of our organization. Our team comprises experienced professionals having consistent track record in EMS segment. 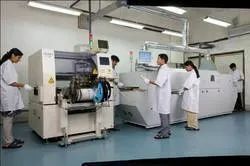 These professionals have excellent capability to offer solutions regarding designing, prototyping, assembling to testing. Moreover, we emphasize on employee training & skills enhancement of our workforce. The range of products offered by us is highly demanded all across Indian Subcontinent, East Europe, North Europe and Middle East. 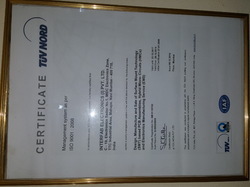 Manufacturing and Trading of Embedded And Instrumentation Products. Competent technical background & experience of the promoters. Consistent track record in EMS segment catering to wide applications. Total solution offering from design, prototyping, assembly to testing. Six sigma approach towards process improvement. The managing director of our organization is ''''Deepak G. Sawant'''' who is the base of our organization. He is a post graduate in Solid State Electronics and has a work experience with Indian Institute of Science. 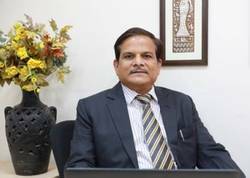 Moreover, he has worked with Hoechst Research & Multinationals like Cadburys, Hindustan Unilever Limited as QA Head. With his rich experience of 27 years, he always guides and motivates our workforce. He is also a member of SMTA, IMAPS & ELCINA and ISO 9001:2015 lead auditor.